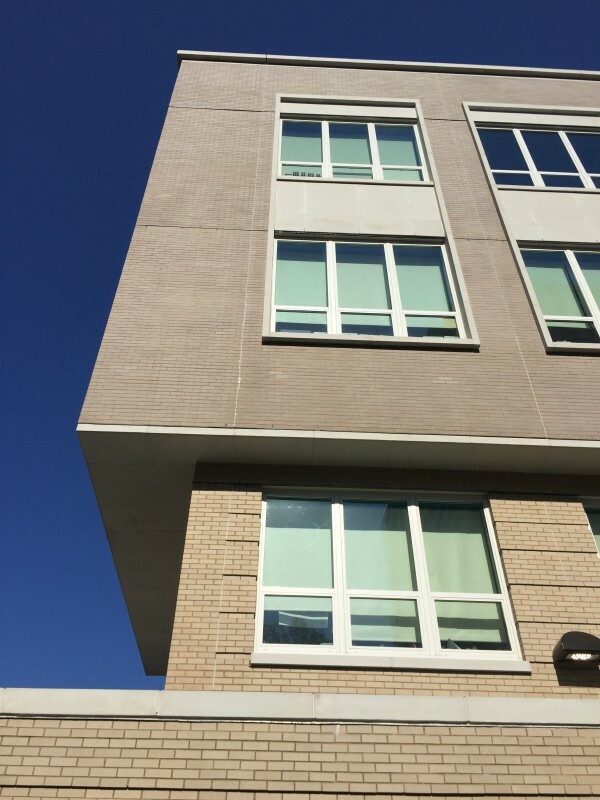 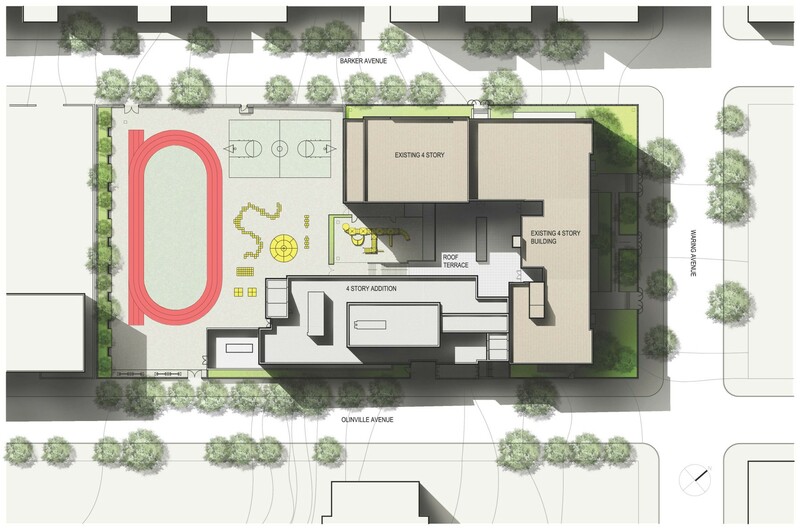 The new five-story school is developed as a 50,000 sq. 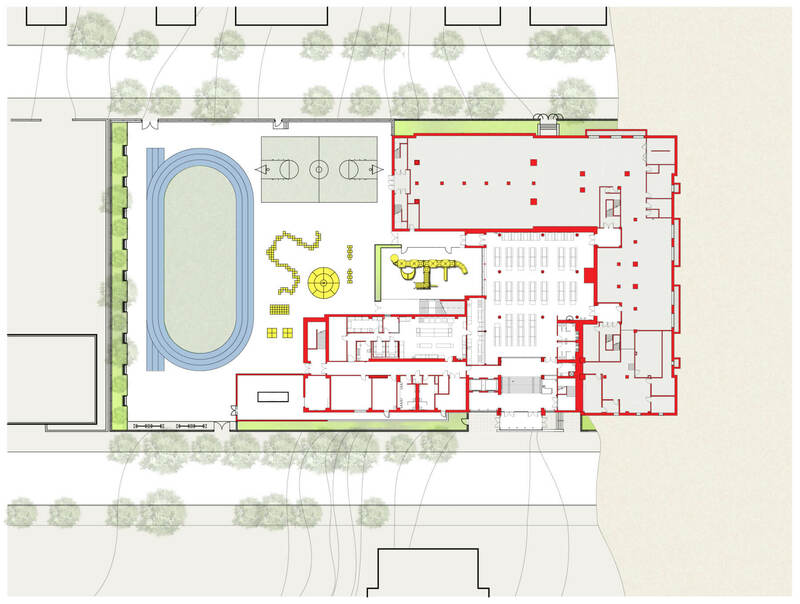 ft. addition to the existing 66,000 sq. ft. school with classrooms for Kindergarten through Grade 5 as well as specialized instruction for Art and Music. 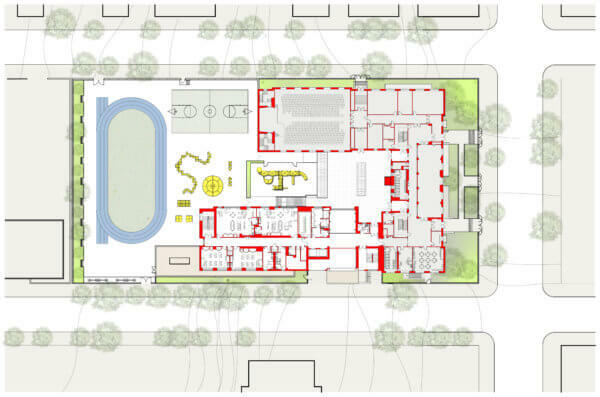 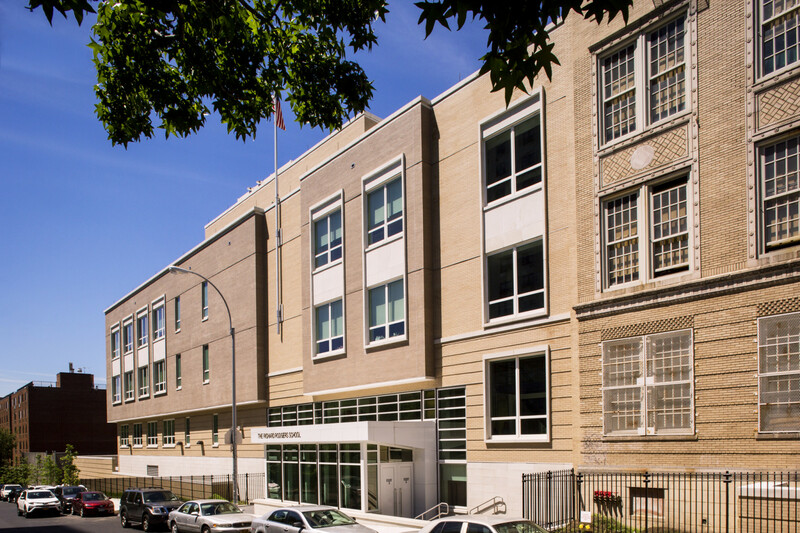 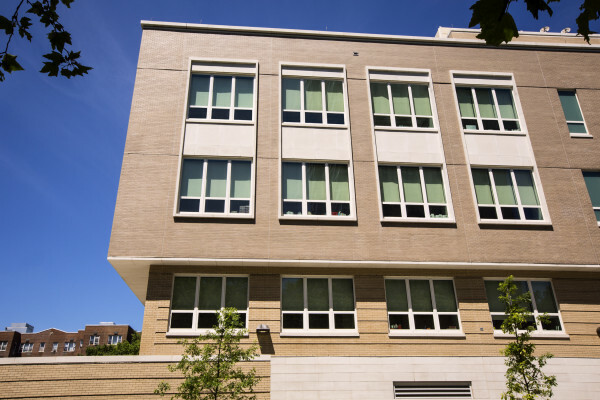 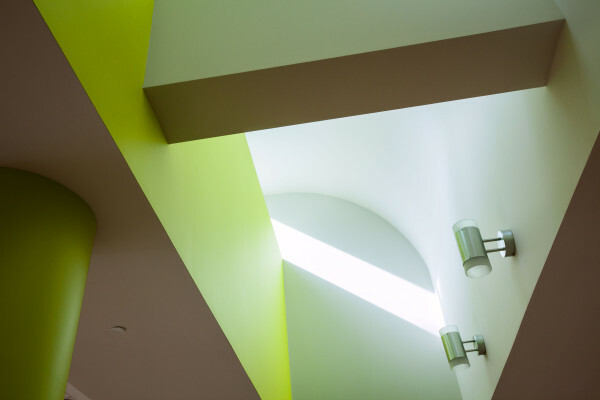 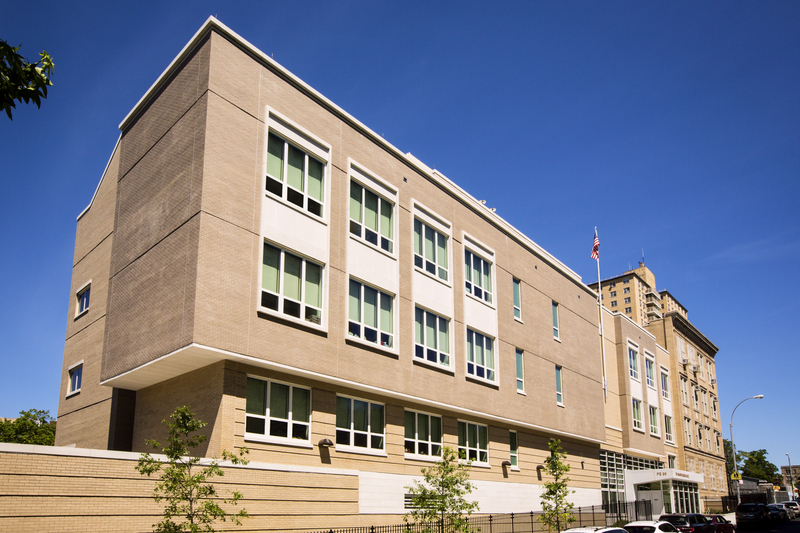 The existing school is a New York State registered historic building (SHPO), so the addition harmonizes itself with the original structure through its massing, materials, fenestration and detailing. The new addition locates itself as an added leg to the existing ‘L-shaped’ building, resulting in a ‘U-shaped’ structure. 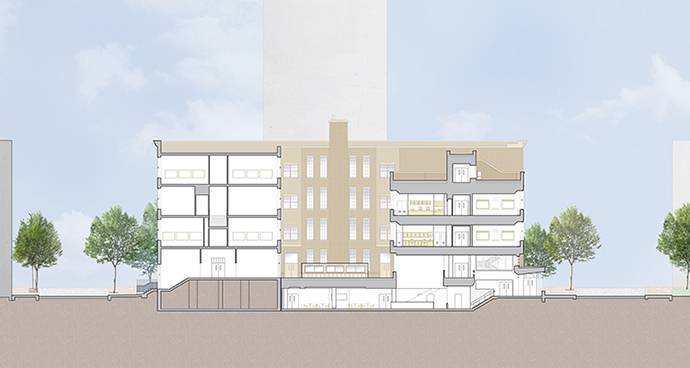 As a result of the sloping site, the new lobby is mid-level relative to existing floor elevations. 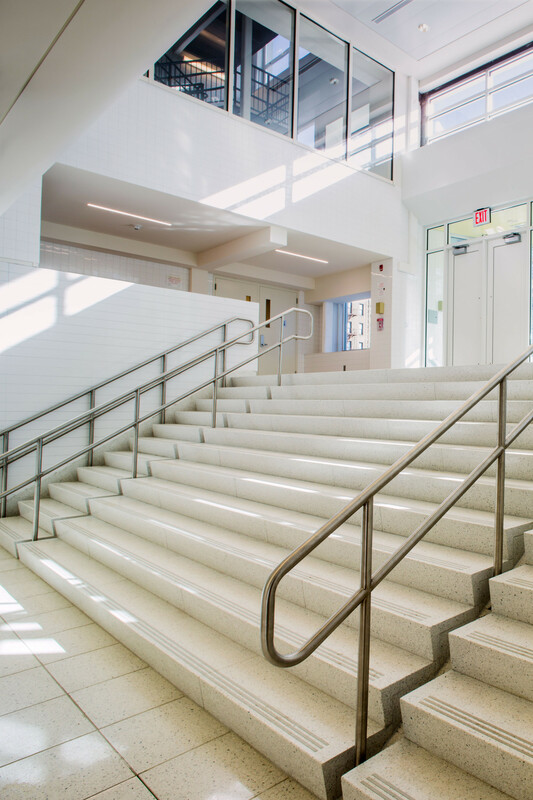 This provides opportunity for high ceilings and large windows which allow daylight to penetrate through the lobby deep into the cafeteria below. 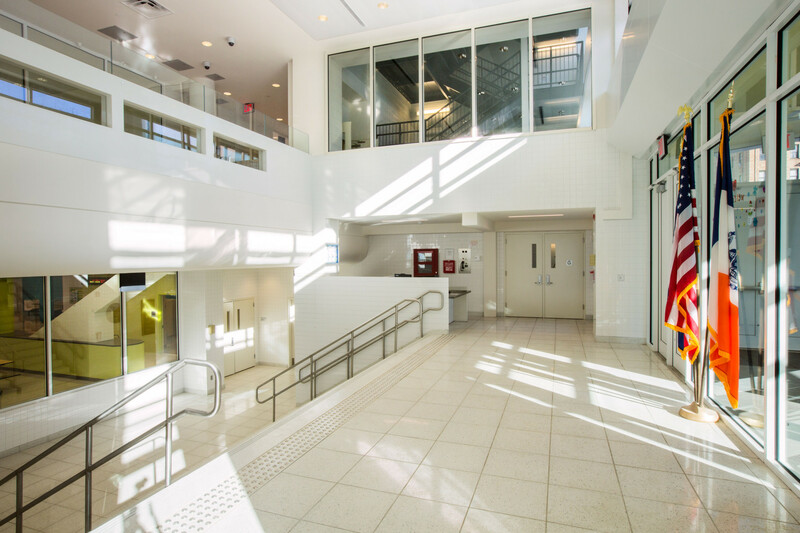 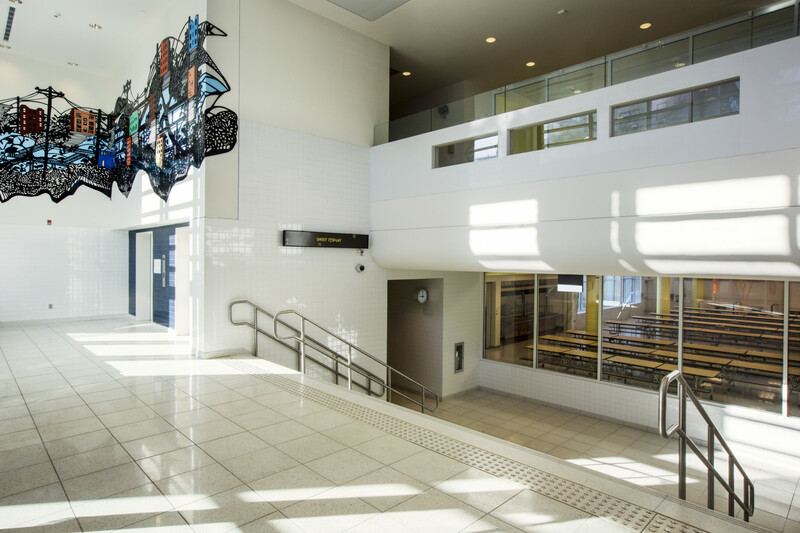 Centrally located at basement level, the cafeteria serves as a ‘collector’ of the major vertical circulation elements of both the existing building and new addition. 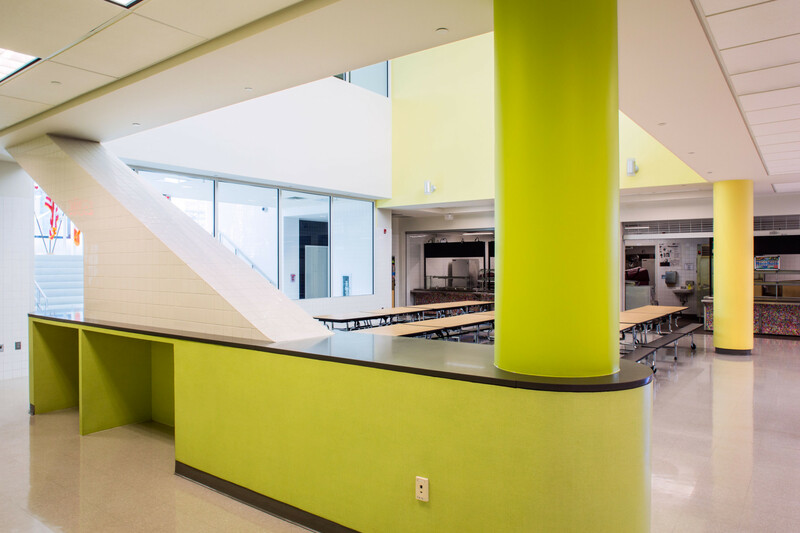 The roof of the cafeteria can be used as a large outdoor terrace for school activities.